Formula One's managing director of motorsport and Liberty Media representative, Ross Brawn, has vented his frustrations at Silverstone airing out private negotiations for the contract extension of the British Grand Prix in the public arena, saying all other tracks maintain privacy. 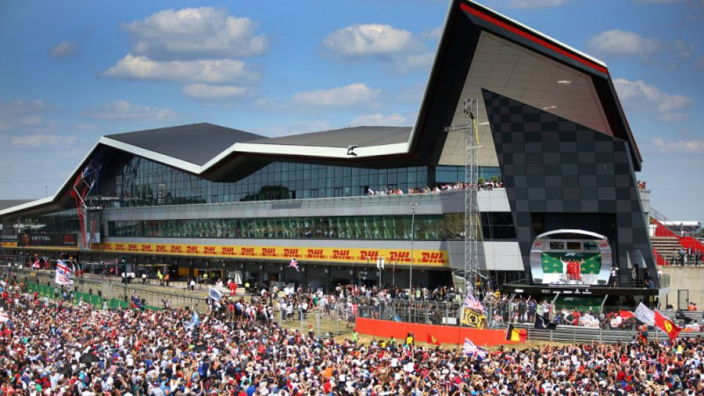 The current deal for the British GP being held at Silverstone runs out after the 2019 season after a one-year extension was triggered before the 2018 campaign. Silverstone are looking for better terms on their deal, having activated a break clause in 2017, but Brawn wants them to keep negotiations behind closed doors, hoping that a new deal can be struck. “I’m sure we’re going to find a solution with Silverstone because we cannot leave this behind,” Brawn told Sky Sports following the British GP on Sunday. Silverstone is an old World War Two airfield and hosted the first world championship race in 1950 after being converted for motorsport. Support for the track and the British GP remains high, with over 140,000 spectators visiting for the race week over the past seven days or so. Should no deal be struck, a London GP has been tipped to replace it, but Red Bull boss Christian Horner does not think that would be viable at the moment. “There is a desire within Liberty to see a street race in London and in an ideal world we would be fortunate enough to have both,” Horner said.